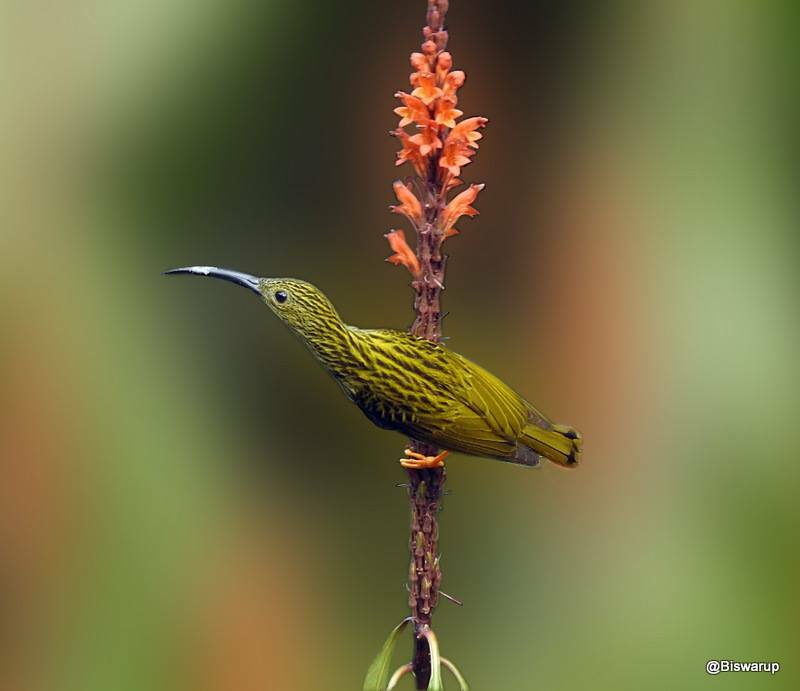 The streaky-breasted spiderhunter (Arachnothera affinis) is a species of bird in the Nectariniidae family. Its natural habitats are subtropical or tropical moist lowland forests and subtropical or tropical moist montane forests. It is sometimes considered conspecific with the grey-breasted spiderhunter. A good picture of a beautiful bird. How beautiful is the bird and what beautiful feathers it has in that greenish color. Excellent image with a lovely and colorful specie. Never seen this bird before. Interesting.